Thank you. The wind was blowing hard but i was nice and fresh upon the land. Honestly! You cannot take good pictures with an old mobile! Those are lovely! Your pictures always make me want to drive to the beach. We're about 40 miles from the beach in northern Oregon. It's a lovely drive and our beaches are breathtaking. Probably because most of the time it's too cold to hang out there! George says hi, by the way. 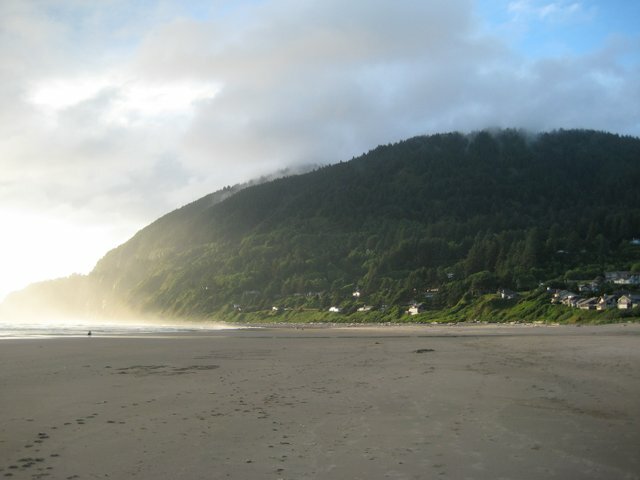 This was in Manzanita, which is a little south of me. Lovely beach and not as many tourists as Cannon Beach, which is right next door. Now i'm really crying! It's amazing. It's a short flight! Come on up! Thanks, the breeze was really cool and nice.